Not only has it seen its earnings decline, but it's going to delay releasing its new BlackBerry Bold 9900 handset to upgrade its hardware. RIM co-CEO Mike Lazardis addressed the delay of the new smartphone during his conference call with investors today and hinted that RIM realized it needed a big-time processor upgrade right in the middle of its development cycle for the new Bold. "We were already well down a development path to the next-generation BlackBerry handsets when we realized that in the U.S. the features and performance arms race demanded that we upgrade the chipset and port BlackBerry to a higher-performance platform," he said. "This was an engineering change that affected hardware and software timelines and pushed out entry into carrier certification labs." It's no secret that RIM has been falling behind in the hardware arms race. 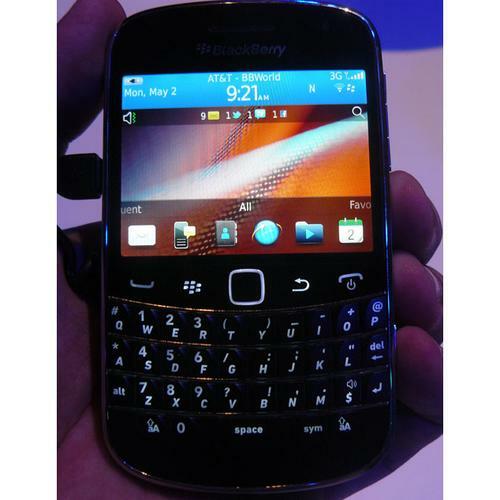 For instance, take the BlackBerry Torch, which was released last year and featured an innovative design that combined a large touch screen with a slideout version of RIM's high-quality keyboard. While the device got kudos for its design, it was hampered by a 624MHz processor and a screen with a resolution of 480x360 pixels. This came at a time when all of RIM's competitors were releasing phones with processors of 1GHz and screens with resolutions of 800x400 pixels. And the new BlackBerry Bold, demoed at BlackBerry World last month, was hampered by having a small screen that is woefully out-of-date for the rapidly-evolving mobile Web. Having a smaller screen wouldn't have been a problem just a few years ago when the mobile Web was still in its development stages and most websites on smartphones were merely carbon copies of normal sites that you could zoom in on and optimize for screen size. Nowadays, however, more websites are designing mobile sites explicitly for larger smartphone screens and that don't allow for the same pinch-and-zoom capabilities of past mobile sites. So when you look at a story on CNN's website on the small Bold screen, you're unable to zoom in on it and thus are stuck with microscopic text size. And what's more, Crackberry writer Kevin Michaluk speculates that RIM has only recently realized that it will need to equip its new phones with the most up-to-date hardware if it wants to stay competitive with Apple, HTC, Motorola and other companies that always use cutting-edge chipsets in their new devices. "From what I've gathered, RIM was originally going to continue to use Marvell [processors] for at least one more generation of their top of the line GSM BlackBerry Smartphones, bumping up from the current 624MHz found in devices like the Bold 9780 to 800MHz," he writes. "But someone at some point in recent months must have woken up one morning and realized that 800MHz would be laughable in their top tier devices compared to the onslaught of high-end specs being ushered in by Android phones." RIM's problem also seems to be that it's scrambling around trying to do too many things at once. Not only is the company trying to incorporate new chipsets into its devices, but it's trying to overhaul its operating system, get its PlayBook tablet up to speed and work on integrating more Android-based applications into its devices. To make matters worse, RIM says that it's facing holdups from carriers that so far have been slow to accept the BlackBerry 7 operating system on their networks. Robb Dunewood, who writes at the blog RIMarkable, says that RIM really needs to prioritize and concentrate more on what's really driving sales in the mobile market rather than trying to remake everything at once. "Unfortunately for RIM, the company is under the illusion that consumers actually care about BlackBerry 7," he says. "Most consumer BlackBerry users have never heard of BlackBerry 7 nor could they tell you what the name of the OS running on their current device is. Consumers care about apps. Consumers care about all the cool stuff their non-BlackBerry using friends are able to download and install on their devices." To be fair, RIM is planning to address the application issue this year by releasing the Android Player application for the PlayBook tablet that will be able to emulate mobile applications designed for Google's Android platform. But the question is, once RIM devices get access to Android apps, will RIM once again get left behind on whatever big trend hits the fast-moving mobile market next?